KVC West Virginia is celebrating. It’s no understatement that foster parenting will change your life. Yet, if you’ve had the opportunity to ask some foster parents about their experience, the majority will tell you that it has made a wonderful difference in their lives. It can be a bit overwhelming when you begin to realize all that is necessary to become a foster parent. From training requirements, making sure your home is suitable and many other considerations, it can be easy to overlook an important aspect of the process. If you’ve already done some personal research, you may have noticed that there are different agencies you can choose to support you in your journey. You may have said to yourself, “I want to foster, but which agency should I choose? How do I know which one is right for me?” If this has crossed your mind, don’t fret! have options for respite care (opportunities for you to take vacations while fostering)? reimburse me for the child’s basic needs? help with other expenses for the child? These are only a few of the many things to consider. Wondering what else you need to know about choosing the right agency? Click the banner below to download our free eBook The Ultimate Guide to Choosing a Foster Care Agency. It provides detailed explanations on everything you need to know to make sure you choose an agency that’s best for you. 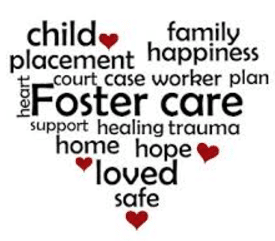 Contact KVC WV at 304-347-9818 for more information on foster parenting.